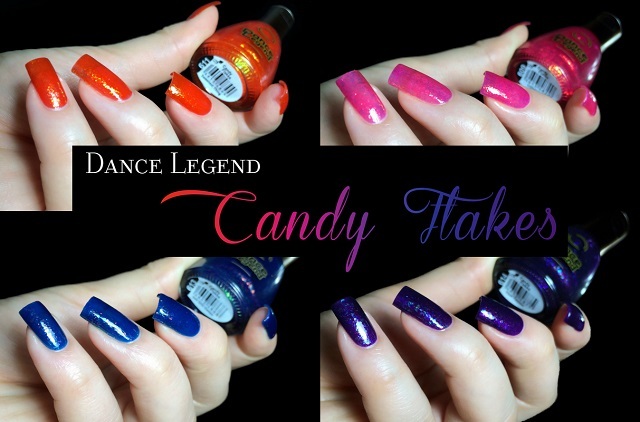 I have a super quick review to show you today with 4 of the Dance Legend Candy Flakes. Anyway, I'll see if I can fix it in the morning and in the meanwhile here are the 4 Candy Flakes I have for you! A really nice collection with eye-catching colors. I wish the lighter shades had more opacity even if the VNL was much less visible in real life than in macro pictures. I especially love Final Fantasy and Sweetest Thing! What about you? Do you love flakies? Did you get an of these?